What makes a good character is ultimately disconnected from what makes a good person. 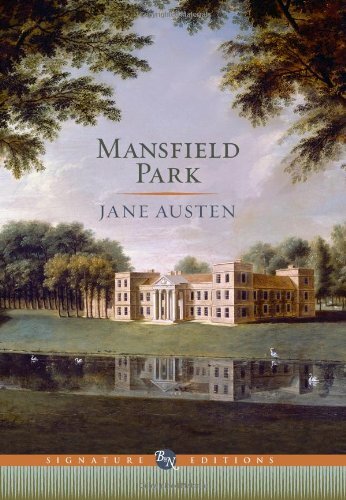 This summer I made my first foray into Jane Austen, reading Mansfield Park. I found the novel more thought- provoking than enjoyable, and one of the issues it raised for me was the relationship between moral goodness and good characters. Fanny Price, the novel’s heroine, is probably the most emphatically good (in the moral sense) character I have ever experienced, and also a bad character in the sense of not being compelling or enjoyable. She is, in fact, one of the reasons the book drags as it does (the other is that the simple plot takes far too long to unfold). I began to find her tiresome; Jane Austen’s own mother called her insipid. I call Fanny Price emphatically good not because she is the most moral character I have ever read but because the whole book emphasizes her goodness. Austen’s admirable theme is that the meek shall inherit the earth, and her intriguing purpose is to cross-examine the true value of the witty, vivacious belle who was (is) the ideal of high society. Fanny exists as a kind of living counterpoint to all the defects of the upper classes – lack of principle, lack of kindness, form over substance, glitter over gold. Her goodness, as central to the novel’s ideas, is inescapable, but it does not do her many favors. Yet I am sure that it is not due to excess goodness that Fanny Price is (to be kind) unengaging or (to be like Jane Austen’s mother) insipid. Fanny would be both a more enjoyable character and a more accurate representation of goodness if Austen had not mishandled the virtue of humility. She portrays it quite badly – though, in fairness, most authors do. In Mansfield Park, Fanny is humble; this means that she has a pathetically low, and generally false, valuation of herself and accepts other people’s negative opinions of who she is and what she deserves to a point that seems almost weak-minded. Nor is Fanny a moral paragon in all respects. The narrator repeatedly reminds us that she is anxious and timid, and it’s certain that she has almost no courage at all. 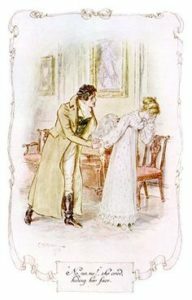 It is to Austen’s credit as a writer that she created such limitations in her character, and if you stop to consider it, Fanny’s timidity lends a poignant note to her climactic resistance to an unwanted marriage. Ironically, though, Fanny would have been better company for four hundred pages if her virtues had extended a little farther, and that would have done more for the novel than a little poignancy. Additionally, Austen – who excelled in creating sharp, lively portraits of female characters – failed to do so with Fanny Price. Fanny gives little impression of anything except strong moral convictions and a puddle of weakness besides. 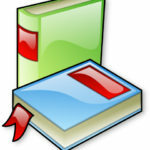 Details such as her physical grace and her love of reading are barely seen and certainly not felt. Her passivity is the stuff of legend; her only contribution to her own destiny is to reject Henry Crawford – in other words, manage to do nothing when someone else is trying to get her to do something (usually she is just carried along when other people do things). What makes a good character is ultimately disconnected from what makes a good person. White knights and black villains have alike succeeded as characters, and have alike failed. Even the case of Fanny Price proves that what matters is not the amount of goodness a character possesses but how it is used, and what the character possesses besides. *gasp* What kind of literary heathen are you that you only recently began reading Austen? Then again, if you’ve seen the costume dramas based on them, that’s at least half credit.